Shortcuts around brushing can lead to bad habits and tooth decay. 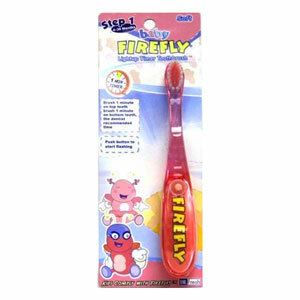 But the Firefly toothbrush is a fun way to educate kids on proper brushing habits. Push the rubber bottom of the brush and a light will blink for 60 seconds. Kids will brush until the light stops blinking, signaling an adequate cleaning.